A Place To Live, Shop, Eat And Play Everyday! The next exciting development is coming to the marquee master-planned community of Garrison Point. This landmark project is in the Liberty Village neighbourhood, which has swiftly become one of the most sought after areas in the GTA. It’s easy to see why. It is renowned for offering stunning views of both Lake Ontario and the iconic Toronto skyline. It blends playfulness with sophistication as this modern steel and glass structure sits on a 4 acre park where you can live and play everyday. This 35 storey high-rise tower with rich features and finishes will rise out of a shared podium, and it is set to become a monumental project dedicated to the modern architecture that has become Toronto’s trademark. The steel frame playfully curves around the exterior to show off a series of floor to ceiling windows. 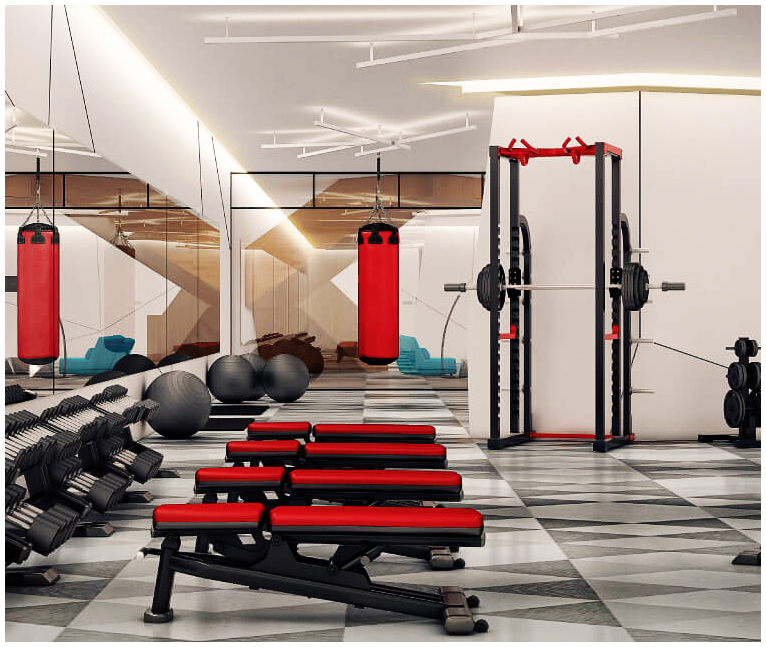 This new development is going to feature world class amenities that will include a comprehensive gym, cozy theatre room, chic party room, lively kids playroom, and a trendy lounge. When you live here, you’ll also have a 4 acre park right on your doorstep, which will be like having a green oasis in the middle of the city. Liberty Village is one of the most vibrant new neighbourhoods in the GTA. In addition to the new 4 acre park, residents will also have access to Trinity Bellwoods Parks, which is one of the largest and most recognized parks in the city. It hosts a variety of community events including a farmer’s market in the summer and a skating rink in the winter. 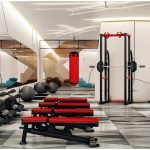 It is also the setting to one of the most comprehensive recreation centres in the GTA, and it’s outfitted with an indoor pool, gallery, weight room, dance studio, and much more. This park is a fabulous place to go whether you’re looking for a quiet afternoon with a book or a vigorous game of catch. Come play, live and enjoy life at Playground Condos at Garrison Point. These condos have a terrific Walkscore of 90/100, and it’s because they’re located in Liberty Village where you can find yourself in the middle of everything. Playground Condominiums is contemporary living and entertaining. This score indicates that most errands can be accomplished without the use of a car, which makes sense because neighbourhood staples like Metro Supermarket, LCBO, Shoppers Drug Mart, and Independent City Market are all within walking distance. If you’re looking for to add some style to your life, there are plenty of boutique shops in the region as well. Furniture stores like West Elm and EQ3 Toronto offer modern pieces that strike a balance between comfort and fashion. There are also ample boutique clothing stores along Queen Street West, which is only a short walk away. 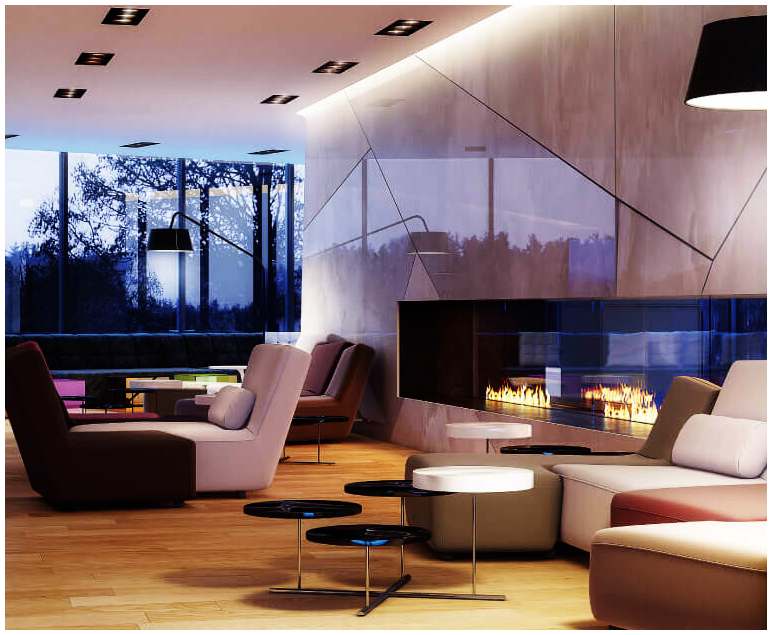 Sleek ambience, plush seating and Concierge Services - all combine to provide a sense of elegance and sophistication. Welcome to Playground with its exquisite taste meets exciting lifestyle. Liberty Village was once replete with browns fields and unused industrial properties, but today it is one of the most vibrant communities in the city. 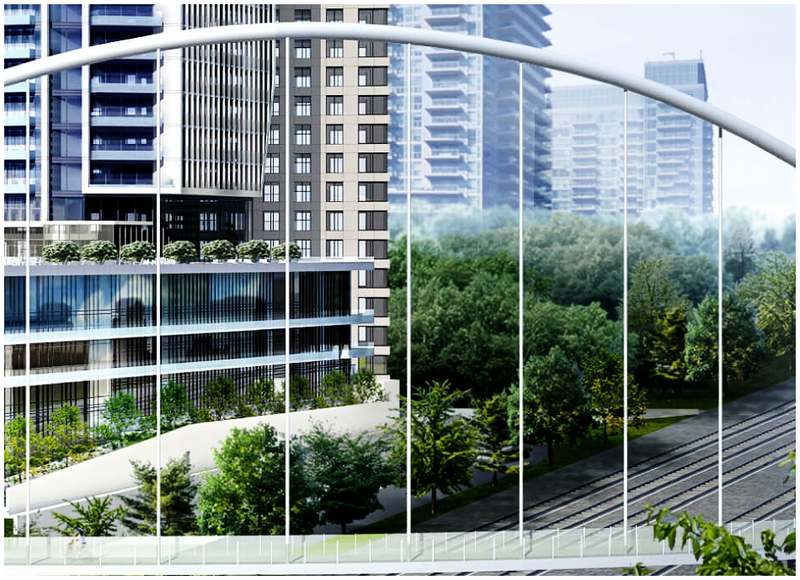 This new condominium is going to continue that trend by adding a stunning 35 storey high-rise tower to the region. The parks, restaurants, and shops are the perfect place to live and play everyday, so what are you waiting for? Register today to get a chance to be a part of this amazing community At Garrison Point! This is a tremendous place for drivers too because of the proximity of the Gardiner Expressway. This lakeside highway is the main arterial route to quickly travel east and west through Toronto. Using this highway - in addition to connecting highways like the Don Valley Parkway and Queen Elizabeth Way - drivers can make it to the centres of Mississauga, Scarborough, and North York in under 30 minutes. Even Vaughan can be reached in under 40 minutes. For local driving, motorists can make it to the heart of downtown in 15 minutes. This development enjoys a perfect Transit Score of 100/100. The TTC was voted North America’s best transit system of the year in 2017, and it’s because of progressive ideas like they implemented along the King Street Corridor. The city needed a direct transit line in the southern part of downtown, so they decided to disallow cars from driving on King Street and reserve it for the city’s brand new streetcars. This has greatly reduced commute times for transit takers throughout downtown. Playground takes its design inspiration from its vibrant setting. Clean contemporary and urban, the sculpted tower rises above Liberty Village, offering panoramic views from expansive windows and balconies. It’s no secret that Toronto is becoming one of the gastronomic epicentres in the world, and there is a concentration of delectable dining choices in this neighbourhood. Whether you’re looking for something different at Mildred’s Temple, or something more traditional from Brazen Head Pub, there are hundreds of choices in the area for you to choose from. 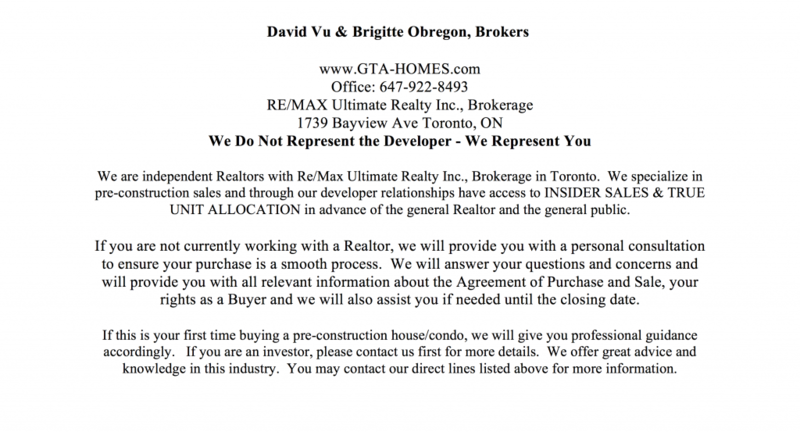 This is one of the most renowned and recognized developers in Toronto, and they’re known for building iconic projects throughout the GTA. Their penchant for iconic design can be seen in their Absolute World development in Mississauga. These towers are recognized across the globe for their trendsetting design that didn’t just push the envelope architecturally, but with cutting edge construction practices as well. Fernbrook is known throughout Canada for their ability to build distinctive and landmark communities. They know what it takes to make a community great, and that’s why they aim to combine architectural beauty with unequalled customer service. They know that you’re worth it, so why not make your next home a Fernbrook Home? This is the investment and asset management branch of Greybrook Capital, which is a North American private equity firm that invests in real estate development and healthcare. In everything in which they invest, their goal is to create excellent returns for their investors, but they are also interested in bettering communities along the way. 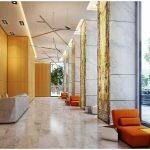 They have experience investing in a diverse areas of real estate, and this has allowed them to recognize and adapt to a variety of different real estate projects, allowing them to create better value at every opportunity. 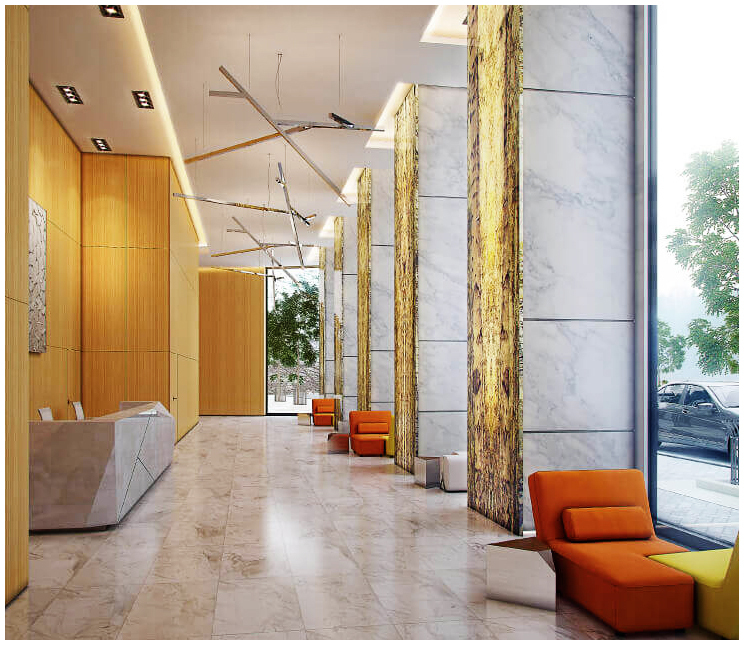 Register here to be in the know for this magnificent project with its soaring ceiling and open concept layout, at Playground Condos you are enveloped in a feeling of spaces, light and air.